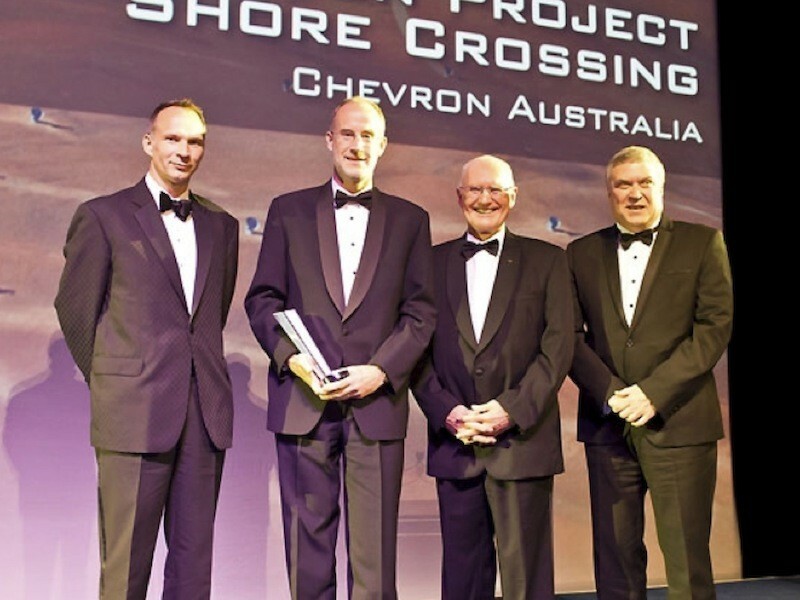 At the 2012 Australian Engineering Excellence Awards, the Gorgon Project’s shore crossing was awarded the Australian Environmental Engineering Excellence Award – representing world’s best practice in environmental engineering for Australia. Stockton Drilling Services were involved with the iconic Gorgon Project’s shore crossing from the start of FEED through to the successful completion. Charles Stockton, the Director of Stockton Drilling Services, was proud to be in Canberra to receive the award along with David Equid and Milton Bruce from Chevron. The challenges that were met during the project were substantial and these included remote island location, stringent quarantine and environmental requirements, no availability of fresh water, potentially cavernous karst formation, and high energy and exposed marine environment. So all together it was these sorts of challenges that demanded innovative and well planned out engineering solutions.